Cali finishing her AKC Championship with her buddy Junior McDaniel, Team McLo were very instrumental in finishing her Championship, thank you Junior and Ashley Lowery for all the love and support. Cali is our new baby from Paula Clairday’s beautiful litter from GCH Kingsbury Red Dragon of Claymore (Oscar) x CH Show n Tail Turning Tricks (Tawny). Born July 28, 2016 on what was the hottest day of the year so it was only appropriate the she and her littermates sported the word HOT in their registered names. With her spicy personality Hot Tamale was a perfect fit. She has a busy life ahead as we plan lots of dog sports for her. Her team includes Cody Smith and Kathy Davis who will be training, cheering and supporting her as she grows and shows. We recently added Cali’s friend Ellen Kidd to her team. This talented Junior handler will be helping her look wonderful in the ring. 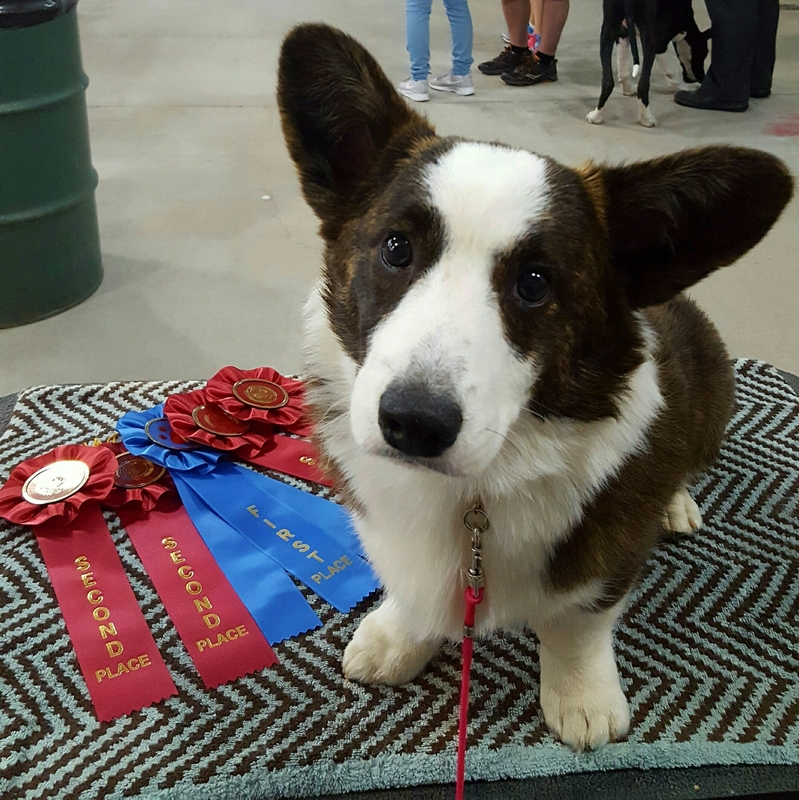 Cali finished her Championship with fairly limited showing. The fabulous Team McLo (Junior and Ashley) along with Ellie and myself guiding her to her wins. We are super proud of the Caliwags!